Searching for real estate near the Blue Ridge Parkway, just outside of Boone in the historic resort village of Blowing Rock? You should think about searching for properties of Blowing Rock NC real estate for sale. Blowing Rock is a wonderful place to live and raise a family. A small town, with lovely parks, secluded hiking trails, an idyllic downtown area, and family friendly atmosphere it has long been a favorite among retirees and families looking for some relaxation in the mountains. We can show you properties that match what you are searching for exactly. Click to contact us and get started working with one of our agents to buy Blowing Rock NC real estate for sale. Our agents hail from all over the country, and bring to the process a wealth of experience and expertise. Our unique team approach is suitable for any type of buyer. 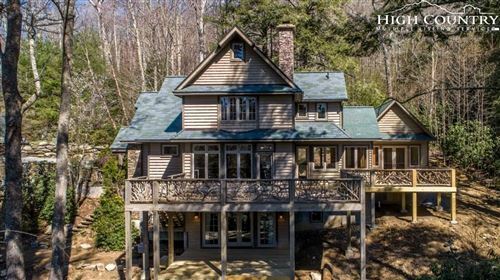 The Mountain Group at Premier Sotheby’s International Realty is the premier Blowing Rock NC real estate for sale company operating in the High Country. Our name is synonymous with superb service. Currently, there are all types of properties listed for sale in Blowing Rock. Many wrongly assume that you’ll only find large, historic estates and tracts of land that are offered at astronomical listings prices. This could not be further from the truth. Blowing Rock NC real estate for sale is diverse and there are an array of different types of properties for sale. You’ll find all types of properties including single family homes, townhomes in new developments and large tracts of land for sale, let us show you some of our favorites that fit your wants. We help buyers purchase condos for sale in Blowing Rock, as well as land for sale, and houses of all types including affordable properties that are appropriate for your average first time home buyers and families.